The tremendous, stupendous, phenomenal, remarkable, exceptional Redleg Nation Roundup! Hey, that was some game last night, eh? No, this is a rebuilding process, and the results in 2016 aren’t particularly important in the scheme of things. But that doesn’t make games like last night any more fun. You could see that one coming a mile away as soon as the Cardinals got a couple of guys on base. Marty Brennaman described Tony Cingrani and Ross Ohlendorf as looking terrified on the mound; he also said that he had never said that about a player in his entire career. Well, I don’t know if Cingrani or D’ohlendorf were actually scared, but I certainly got uneasy once the snowball started rolling downhill. –Before I present you with plenty of things to read, go listen to the latest episode of the Redleg Nation podcast. I really appreciate all the support you guys have been giving the podcast; subscriber numbers are up and people are leaving very kind reviews at iTunes. Keep telling your friends! A while ago, I predicted the Reds will finish in second place next year. Nothing thatÃ¢â‚¬â„¢s happened has made me change my mind. The Reds have a fantastic minor league system right now and theyÃ¢â‚¬â„¢ve done a great job of acquiring prospects with high floors. 1. There will be a different double play combo next year. 2. Jesse Winker will get 500 PAs in the majors next year. 3. Eugenio Suarez will play a lot somewhere. 4. Nick Senzel will make an appearance. Go read the entire piece. It’s not as far-fetched as it sounds! 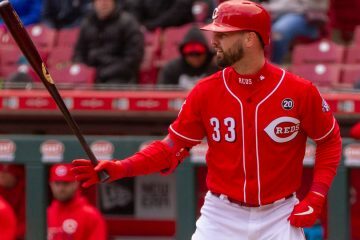 The Reds have drawn some criticism during the rebuilding process for their preference of acquiring players in trades that are close to the majors. They’ve done so in an effort to shorten the rebuilding process if at all possible — which is certainly a noble goal — but there are some who feel the Reds could have gotten more prospect value for their trade chips by targeting younger players with higher ceilings. The logic of this is pretty simple. The older a prospect gets, the less capacity he has for improvement. That’s not to say dramatic improvement can’t happen, but players tend to be similar to who they were in their first four or five years in the minors. There are your stars in the high minors — look at Alex Bregman, Lucas Giolito or Dansby Swanson — and then there are younger players brimming with star potential. Go read the entire piece to see Zach’s argument. It makes a lot of sense. –Doug Gray wrote about TJ Friedl this morning here at RN, but over at his excellent site, Doug has explored how recent first-rounder Nick Senzel stacks up to other top picks. You should go check out that piece, and you should definitely consider subscribing to Doug’s site. It’s well worth it. As for Nick Senzel, I’m excited about this kid. Senzel may be the most intriguing Reds hitting prospect — to me, at least — since Jay Bruce. —In case you missed this last week, Grant Freking took a look at Homer Bailey, and asks some important questions about the hard-throwing right-hander. –Yep, I still miss Jay Bruce. 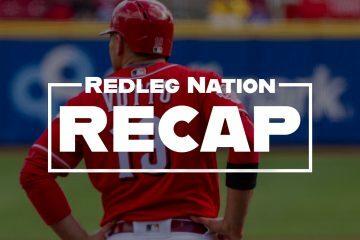 –Before I wrap this up, if you’re still looking for more Reds-related content to read, Redleg Nation has you covered, as always. In just the last week, we’ve published a bunch of great pieces, including: Steve Mancuso’s exploration of the log jam in the infield; Wesley Jenkins’ attempt to sort out the rotation’s identity crisis; Patrick Jeter searching for Dilson Herrera; Jason Linden’s look at the outfield situation, with some harsh conclusions; Jason’s interview with pitching prospect Rookie Davis; John Ring’s interview with recent draftee and catching prospect Chris Okey; and a flashback to Bill Lack’s interview ten years ago with a young (and very dreamy) Jay Bruce. Also, here’s my piece yesterday in which I admitted to being sentimental over the Brandon Phillips situation, but tried to explain why the Reds couldn’t afford to be. Please check it out and let me know what you think. I may be biased — I’m definitely biased — but I really believe you won’t find better writing, or more in-depth analysis, about the Cincinnati Reds on a daily basis than what we provide you right here at Redleg Nation dot com. I’m really proud of the group of outstanding writers we have. Gotta agree with the writing here. Rather one agrees with the opinions expressed or not, one can’t deny that they are well written, well presented, and generally very well researched. It’s the best Reds’ coverage around, not just on the internet. I agree 100% . While I do not agree with everything written here , the quality of the writing here at this site is wonderful . Chad has every right to be proud of this website . It’s a must read every day for all Reds fans . Ditto for Doug’s site at Redsminorleagues.com ! True about Doug’s site. It’s top notch too! Is that still in the works? I think it’s a great idea and would love to help out if you need any extra support getting that going. Stay tuned! Hopefully an announcement to come very soon. I’m super jealous of the meet-up. I was in Cincy a few weeks ago for the 2nd time in 7 years! Just missed it! I think some folks were planning on spring training next year… I might try to do that! It’s more easily driveable from Colorado. I’d love to get out for ST but not sure if I’ll be able. I’ve only been to one ST and that was years ago in Sarasota. I was still in my late 20s, so was close to 20 years ago now. My only sources for Reds information are game broadcasts, stats online from various places, and Redleg Nation. Occasionally I’ll monitor the Reds official Twitter feed for rain delay updates. RLN is so much better than any other source of Reds analysis, conversation, critical assessment and fan(atic) interaction that there’s no comparison. 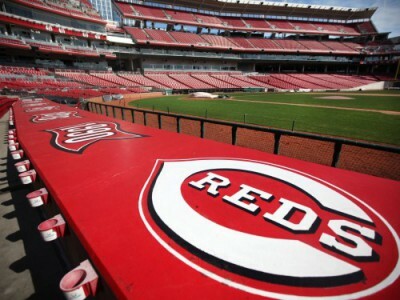 And though there may be a better site following some other team in baseball or another sport I would not be surprised if RLN is, like the Reds Hall of Fame, second to none. Thanks guys (and ladies) as always. Go Reds!